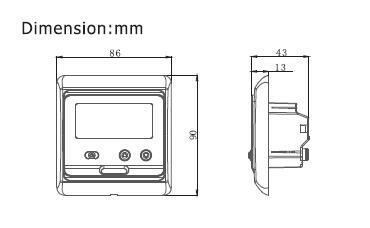 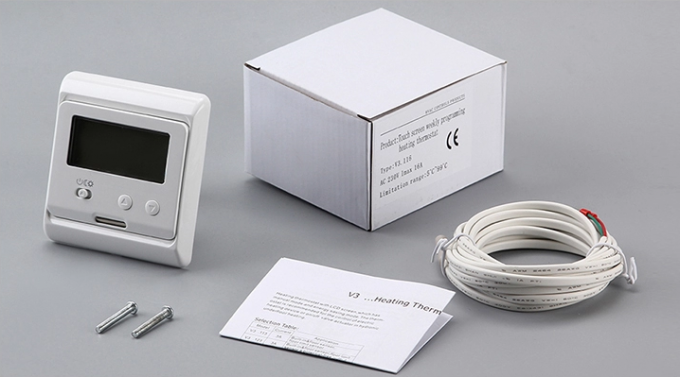 Manual heating thermostat with LCD screen and energy saving mode. 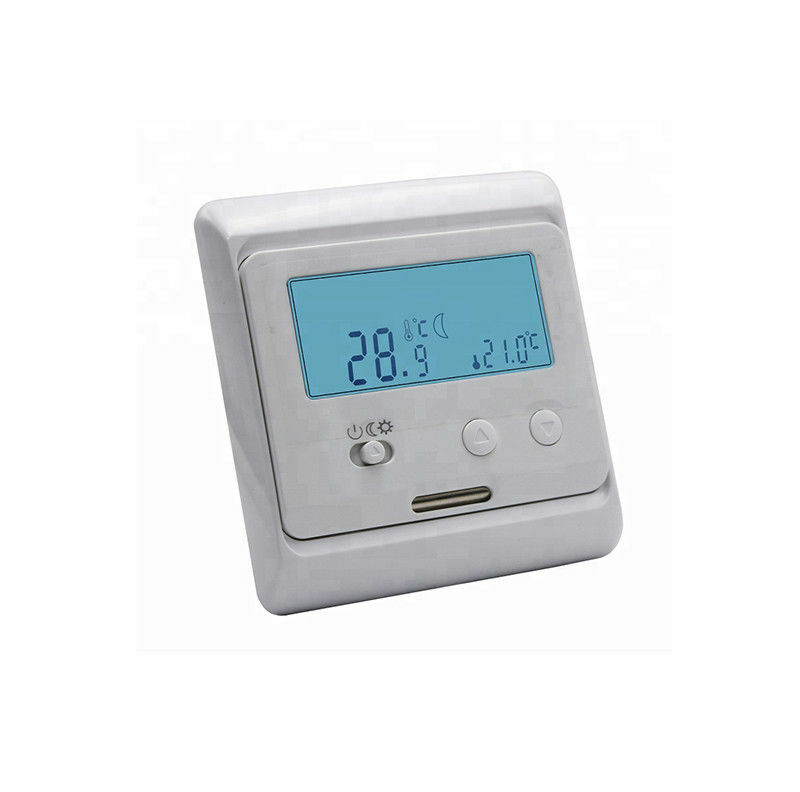 The thermostat is used for the control of floor heating mat or on/off valve actuator in HVAC system. 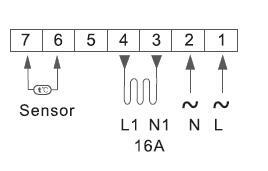 Usually finished at mounting thermostat. 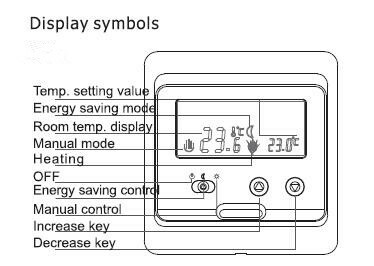 Press + key simultaneously sliding the power on button to energy saving mode when in power off state.